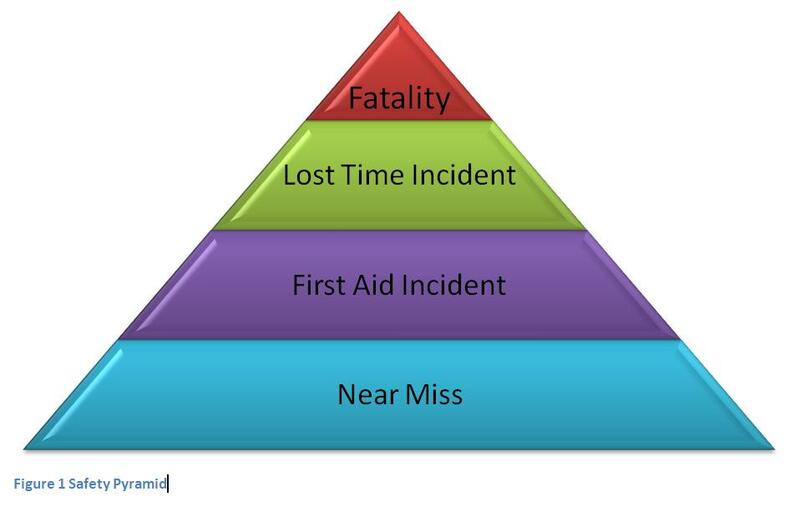 Close calls are at the bottom of the safety pyramid. But, they can escalate. We’ve all had them. That close call where you almost got hit by a speeding car, that time you almost slipped and fell, that time you got lost with a dead battery. Don’t feel bad, because we’ve all had close calls. we all take that deep breath and forget about it the incident. However, don’t be so quick to forget about that close call. It may be a warning to change your practices or how you act, before your close call actually turns dangerous. If you’ve had a close call at work, let your boss or supervisor know. They don’t want you getting hurt anymore than you want to. If safety is becoming an issue in your workplace, than maybe it’s time to bring in a safety consulting firm to implement safety practices. If you’ve had a close call while driving, you know it can be scary. Car accidents are no joke, and safety on the road should be taken very seriously. If you are worried about your skill set when it comes to driving, then see if you can enroll yourself in a driver refresher course. Unfortunately when it comes to driving, there aren’t many alternatives unless you are in a large city. Carpooling, walking or biking are always other options as well. If you’ve ever had a close call while at home, whether it be a slip in a kitchen or a trip down the stairs without breaking or injuring anything, count yourself lucky. However, next time you might not be so lucky. This about any hazards in your hallways or stairs, any slippery surfaces. When it comes to clutter and stuff, less is more. When it comes to close calls, let’s be optimistic and hope that no accidents happen. But, let’s be safe, just in case they do. It’s midway through this winter, and it’s certainly feeling quite arctic. Cars are groaning to a start, pipes are starting to freeze, sidewalks are turning into rinks and so on. Then one day when you pick up your mail your heating bill comes, and your heart almost stops looking at the amount due. How can one place rack up so much in heat? But then you remember, the temperature outside is flirting with below zero and your windows are starting to frost over. 1. Lower your thermostat either when you’re gone for the day at work or during the night. 2. Invest in drapes or blinds that will further bock the cold air from sneaking in. You want to keep the cold air out and the warm air in. 3. Call a local plumber or someone who can check the outside of your house for leaks or openings. If you house feels drafty at all, chances are you’re wasting heat. 4. Space heaters sometimes take up more energy than your normal heating unit. Sometimes, blankets are the best bet. Keep warm this winter, friends! It’s New Years Eve Day! Which means everyone is running around, trying to get out of work, figure out midnight plans and keep track of family members. But what about dinner?! It’s important to get a good meal before the long night. Kids need energy to stay up so late, adults need a hearty dinner for the same reason. Plus, eating one good meal before is healthier than snacking throughout the entire night on fattening dips and foods. Instead of cheap Chinese takeout, think of getting take-out from a local restaurant. It’s a healthier, tastier option than pizza or fast food. Or, if you want to go the homemade route, think crock-pot or slow cooker. It’s (almost) a new year, which means it’s time for new opportunities, new ideas, and…maybe, a new place! Prepare an email blast or some sort of reminder to send to clients, patients, etc. about your new address. Update your website to reflect your new address. Update all cover materials and letterhead with new address. Get the team onboard. Make sure all your employees know the moving date, if they’re supposed to move their own personal items, where their desk is going to go, etc. You’ll want to make the transition as smooth as possible for them so that work productivity isn’t harmed. Or, maybe, you’re not ready to move. Often times companies are not completely ready to move but need an office refresh. You can do anything from a small office makeover to a complete style overhaul. Moving furniture, individual offices, new paint colors or simply adding plants are all options. Whatever you choose, we hope 2014 brings you and your workspace great things.